« How is a three strikes proposal supposed to work for mobile data? My first computing experience was on the family computer, a 386 running Windows 3.1 in my parents’ den. It was truly a family computer—my parents used it for work, and the kids used it for games. A few years later, my parents moved to IBM ThinkPads with Windows 95 (vehicles for my first Internet experiences, dialing into chat rooms to talk about my dog with strangers… I was 9! ), but the kids’ computer was still the shared desktop. When the 386 was no longer able to run our games, it was replaced with a new Windows 98 desktop. That shared kids’ computer spent most of its life out in the open, in our family room. In the next five years, our home computing landscape changed drastically. I got my own desktop when I started high school in 2001. A few years later, I acquired a laptop after a summer trip overseas, and my two siblings (3 and 6 years younger) both got recycled older desktops in their rooms for homework. My desktop became the new kids’ computer, but it was quickly phased out as gaming shifted to consoles and my siblings got upgraded machines. By 2005, our computing took place in separate rooms. I soon realized that we didn’t just have a new way of watching TV, but a fully-featured PC hooked up to a giant screen. With a couch and a wireless keyboard, I began using it to browse the web and consume other forms of media (especially useful when we had company!) and even used it for some work (handy for group projects!). It provided a stark contrast to the tethered appliance computers nearby—an XBOX 360 and a Rogers HD PVR (which broke!). I don’t want any proprietary tethered appliances when I move out. I want a general purpose computer that opens up to the room—not a personal computer that family members take turns using, or a TV that people just watch, but a group computer that brings other people into the computing experience. With a general purpose computer, I can specialize with software (MythTV for television channels, Firefox for web content, etc.). 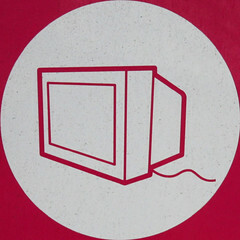 MythTV is cool, but video is moving from TV to the web—why not focus on that? I don’t know of a real group user interface for general purpose operating systems yet (i.e. like on video game consoles), but a big display goes a long way to involving a room in the meantime. I’m also fascinated to think about how handheld devices fit into the picture, with large tablets for media consumption or smaller tablets as controllers. A TV is just a big screen. I’d rather have a computer I can own, control and create with hooked up to it, instead of the black box proprietary tethered appliances that commonly broadcast into a room. I don’t want a “home entertainment system;” I want a shared computing experience. Is there a name for this? I’ve been calling it “family room computing”—or just “room computing”—but suggestions are welcome. I’m just getting some rough thoughts out. What do you think family room computing could look like, with computer users in charge? ps that original family room computer? It’s still semi-set up in our basement—I installed Debian on it a few years ago to give Fluxbox a try!